I was digging in my closet the other day, looking for some fabric I knew I squirreled away somewhere when I found this quilt top. How did I forget about this one??? It had only 3 sides of the green border sewn on. But it was practically finished. I remember working on it in August (so *cough* nearly 9 months ago) before my daughter’s birthday. In the chaos of getting ready for her party, it got shuffled into the abyss that is my closet (I’m working on getting it organized). I had no real plans for it other than selling it. I ended up putting my Etsy shop efforts on hold when the kids started school since we had moved to a new area and I wanted to help get them acclimated. But nothing is stopping me now. So I added the 4th side of the border yesterday and basted it. 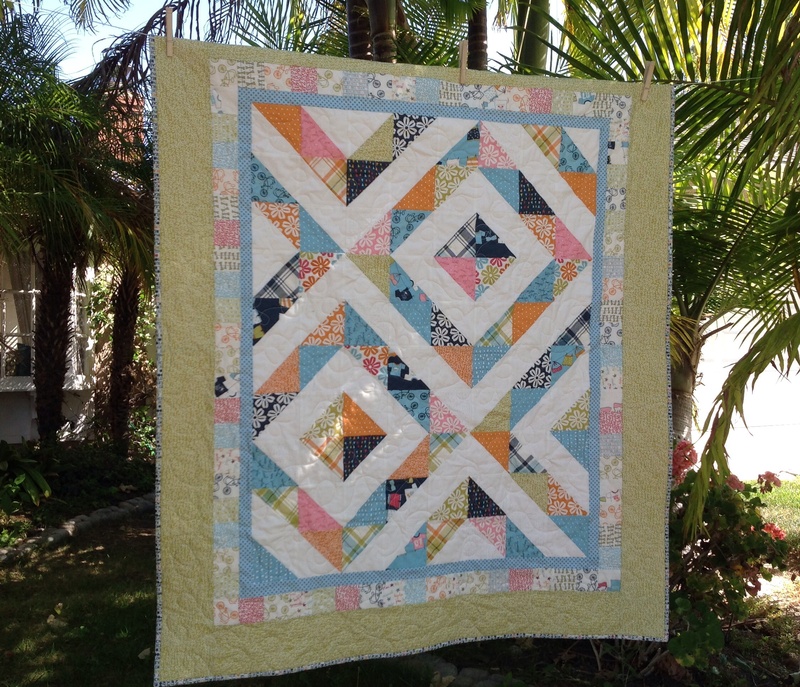 Then I free motion quilted it with meandering loops. Just finished binding it and it’s now listed in My Shop. A few things makes this one of my favorite quilts. 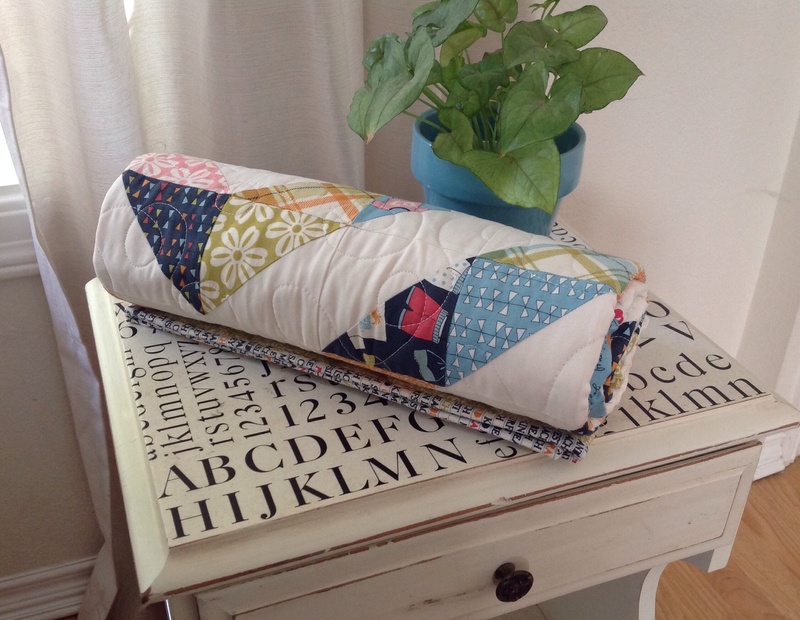 It’s made with Lucy’s Crab Shack fabric line by Sweetwater for Moda. Sweetwater is one off my favorite design teams. I love everything they make, but Lucy’s Crab Shack is a particular favorite of mine. I love the color combo (it has my current favorite color, orange), it’s a fun and playful line of fabric. 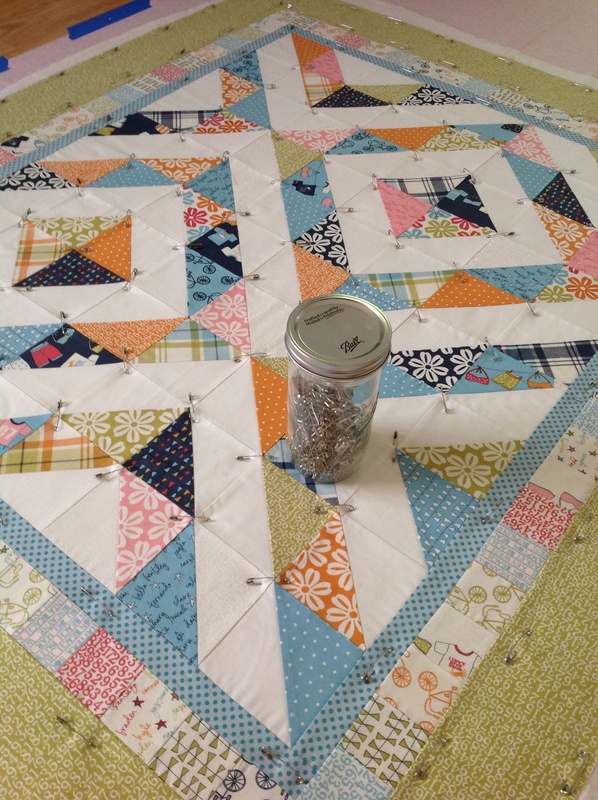 I also love it because the design came from playing with half square triangles (HST’s), which is my favorite block because there are so many possibilities. And it’s a Chelle’s Quilts original. 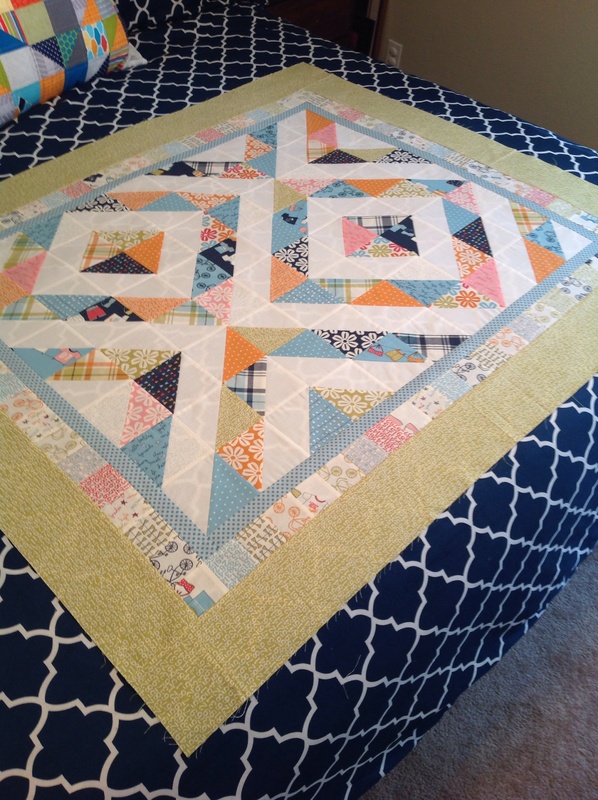 It’s one of the first quilts I designed on my own. I think I’ll make another…. Previous Post Happy 10th Anniversay of your 30th Birthday!